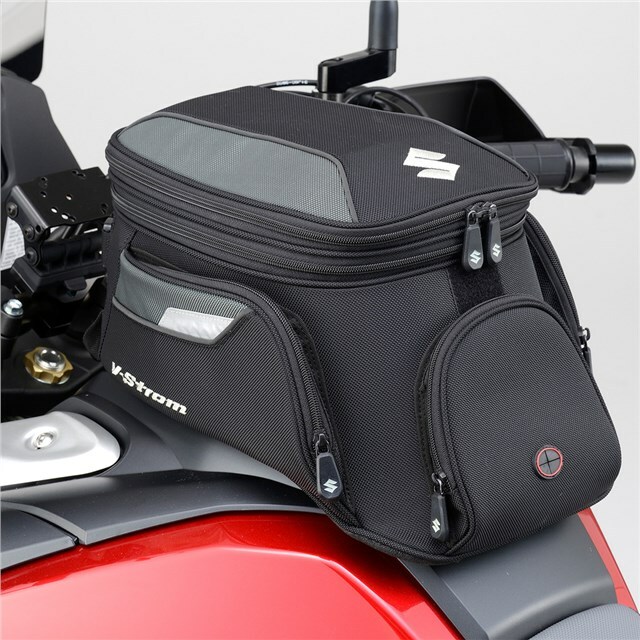 Durable nylon tank bag affixes to the tank with a snap-on ring. Bag removes with a simple pull of the release cord. Large bag expands from 11 to 15 liters (2.9 Gal to 3.9 Gal) and includes a rain cover and shoulder strap for convenient carrying. Optional Map Case 990D0-04605 easily attaches to either bag and features a transparent front for hassle-free reading.